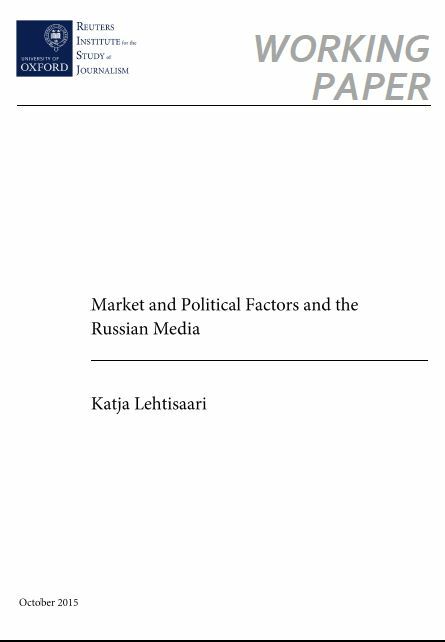 The Russian media landscape has been changing rapidly in recent years, influenced by the rise of digital media but also by more specifically Russian developments in media markets and policy. The main dichotomy in the Russian media model is between more tightly controlled media loyal to the authorities and freer media outlets and online communication platforms. How has the equilibrium changed during the last years and what are the political and market forces shaking it? The working paper seeks to discuss these questions, in particular taking into account the developments during Vladimir Putin’s current, third presidential term (2012–2018).